Elizabeth Hotchkiss needed to marry but her options were limited. Soon she finds a book at her employers house that looks to be like a guide to find a husband. She will be finding a person willing to let her practice on, the new estate manager James Sidwell. James Sidwell, the Marquis of Riverdale, is playing the role of estate manager to help his Aunt find the blackmailer. James will be side tracked with Elizabeth determining if she was the blackmailer but soon finds that she is temptation, not a threat. How to Marry a Marquis is the second book to the series Agents for the Crown. 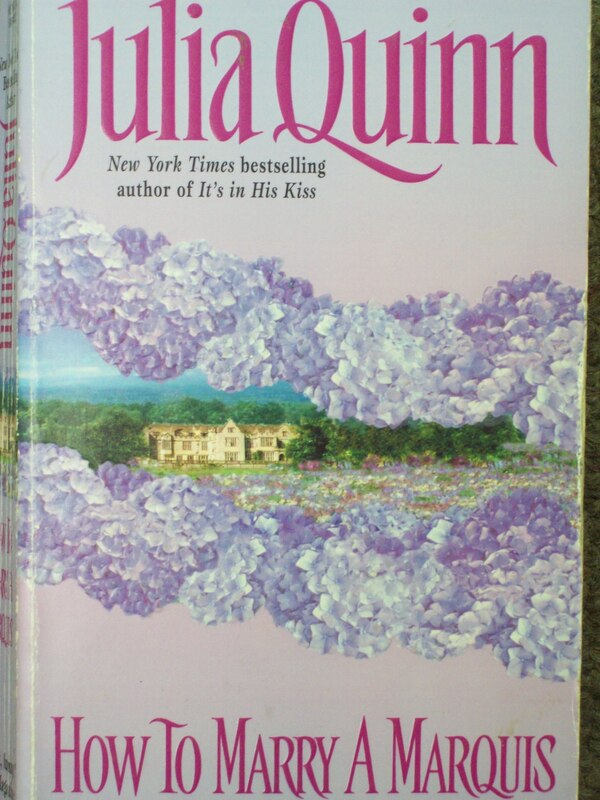 This was a fun second and last book to this series from Julia Quinn. James was what I expected. He had humor and was a good man for coming to the aid of his Aunt. There is a little deception that happens but it is not done maliciously towards Elizabeth. Now Elizabeth is someone who is doing her best for her siblings with very little means. Quinn weaves into the book with humor that will make you smile as you read the book. I did like that all was not what it seemed. There was a little surprise at the end which helps give a conclusion to the blackmailer problem, so all worked out for the best. How to Marry a Marquis was another good book from Julia Quinn. Caroline Trent was to get control of her fortune at twenty one which was only weeks away. She had to leave the home she was staying at but had no idea how. When she was whisked away by Blake Ravenscroft who thought she was a notorious spy she thought her prays were answered. Blake Ravenscroft wanted revenge on the spy Carlotta De Leon. He thought he had grabbed her as she was sneaking out of the house but soon will find she is not a spy but an heiress. I decided to pick up the book because I hadn’t read anything by Julia Quinn in a while and wanted to revisit the author. 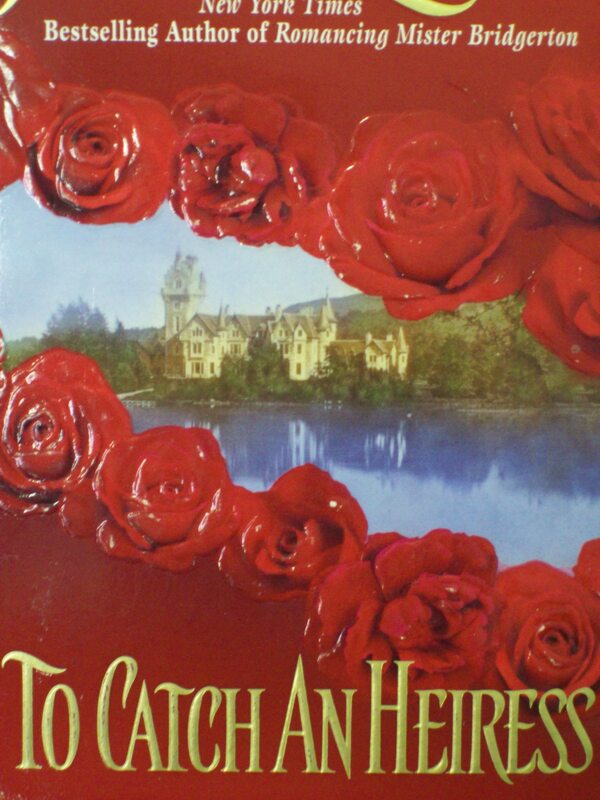 To Catch an Heiress was a book I had not tried before and was excited to start a new series even though there are only two books to Agents for the Crown series. So the first book to me set the tone of these spies. They will do what they need to do in service. Blake was doing this more out of guilt and is rather on the serious side. His friend James who will be in the second book has more humor. Back to Blake, he is serious and determined to live in his own misery. He doesn’t like that he is attracted to Caroline as he doesn’t want to marry again and fail to save her if she is in danger. Caroline wasn’t looking for love either but there she was falling in love with this man. It was a battle with him but with all love stories a happy ending will happen. Of course danger does creep up on them with the enemy nipping at their heels. I liked the first book and can’t wait to see how James will be in his own book, How to Marry a Marquis. Katie Dane had no desire to run her fathers bar but her family left her little choice. She will be overwhelmed with all the bills and by the new gorgeous bartender she hired. She will have to find a way to stop the bills and a fire might be the answer. Ryan Blake took the bartender job on the side until he’s ready to come back to the fire station. He was instantly intrigued by his new boss but was getting mixed messages if she liked him or not. Ryan will have a bigger problem with fires that were starting at the bar. Hot for Fireman is the second book to the Bachelor Fireman series from Jennifer Bernard. I tried the first book on a whim and mostly because of the cover. From the looks of this cover you are definitely drawn to this one as well. Of course our main guy Ryan is not all about looks like the cover shows him to be. He is a good guy who is not being the hotshot he used to be. He is sorting out his life and helping a girl while finding a new feeling he has never felt before. Now Katie was a girl at the end of her rope especially when she thought fire was the best way to end all her problems. This of course is not the right way to do it as danger comes out of this dilemma and causes more problems for Ryan. It took a while for Katie and Ryan to find that harmony which worked together but in the beginning and throughout the book there was instant sexual tension. The plot kept going with the crazy idea of starting fires but it quickly becomes dangerous when they go to an outside source. There is a little mystery with this bad guy and he certainly causes trouble for Katie, her family and Ryan, but a happy ending will be given from Jennifer Bernard. Lord Bramwell Johns is a second son of a duke and a famed scoundrel who never knew a wager he didn’t like. He has done everything he could to tarnish his reputation but now he will do everything to save this woman. Lady Rosamund “Rose” Davies has done everything she could do to keep her family in order. Now she is being sold off to pay her brother’s debt to a scoundrel. She will look to another scoundrel to help save her. Always A Scoundrel is the third and final book to the Notorious Gentleman series by Suzanne Enoch. After finishing all the book from this series I will have to say this was a great series but for me this book was my favorite out of the three. I started the book late into the evening and could not put down the book. This was mostly because I wanted to see Rose be able to fight away her soon betrothed and to see how Bram was using his skill on Rose at the same time changing into a better man. I guess what I really liked about this story was the transformation that happens with Bram. He is everything bad and almost cruel but he slowly changes and becomes more honorable to more than just his close friends. Rose also has a transformation where she starts to think about herself and not her family. I have to say her family were a little selfish but not in the mean spirited way. I wanted to shake James and knock him down for what he was doing to his sister, for making her marry the blackguard after he lost the money. James does get better but not very quickly. Our enemy is certainly Rose’s intended and he is a horrible man who is set on destroying the innocence of Rose. He will start to succeed but Rose will seek for another to educate her. There will be a lot of education happening between Rose and Bram throughout the book. Always a Scoundrel was a great finish to the Notorious Gentleman series. Sullivan Waring has his mind set on two things and two things only, revenge and his rightful inheritance that was taken from him. He will find his revenge but will stumble upon Lady Isabel Chalsey who will find out his identity. He will soon be blackmailed but find this not to be too much of a hardship. Lady Isabel Chalsey never expected to find a thief in her house let alone to kiss her. She will find out the thief and use that knowledge to find out more about this man. Soon finding the man to be everything she wanted. After the Kiss is the first book to Suzanne Enoch’s series Notorious Gentleman. I had read the second book of hers and really liked the book. I am back with the first and third book to complete the series with Sullivan and Bram. So the plot was fun and simple. The act of revenge is used often but Enoch writes it well for Sullivan who I really liked reading about. He knew what he wanted and wasn’t going to stop at anything but that leaves him to be lonely. Then there is Isabel who I wasn’t too thrilled at first with her. I didn’t like the idea that she was blackmailing Sullivan but she did see him for the man that he was. She does get better which makes her a good heroine after all. The villain is Sullivan’s family clearly as you read through the book. They don’t really get anything bad happening to them but there is a lesson that is learned, Sullivan particularity. This was another book that could stand alone on its own and you could understand perfect what was going on. The characters of Sullivan, Phin and Bram are mentioned or there in the book. Bram’s story is the next and last book. Mara McDougall has lived in Philadelphia but soon finds herself owning a castle in Scotland. There will be a problem though which started with a medieval bed where a man is very rude. She will be seeing this man more and more, and find out that he is not exactly real. Sir Alexander Douglas is not exactly a ghost as he is not exactly alive or dead. He is there to guard his bed and will find himself going back to Scotland with the bed’s new owner. He will despise the owner because she is a McDougall but he wouldn’t be able to stop his feelings for her. 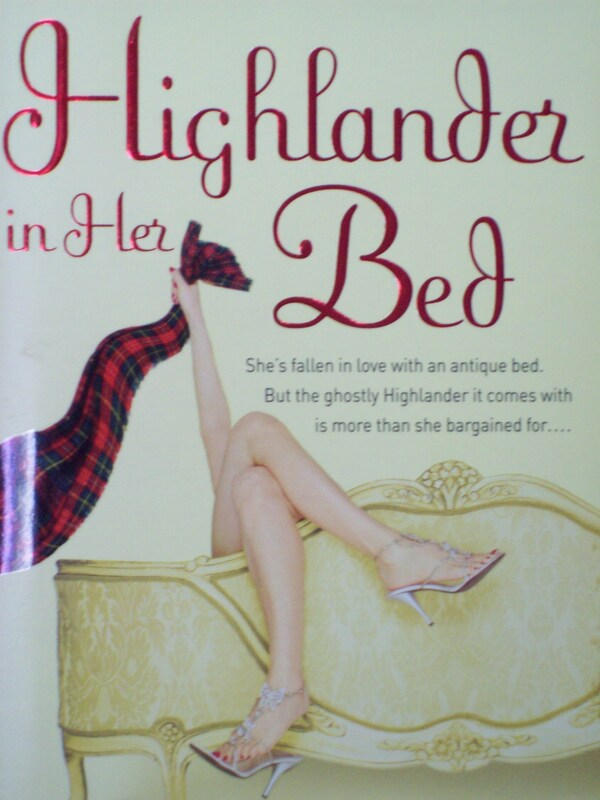 Highlander in Her Bed was a book that was sitting on my bookshelf in my to be read pile. It is the first book to the series Scottish-set paranormals. I found the book different, I liked it but it was certainly a little strange with the ghost but not ghost Alex. I got into the book fairly easy and it was entertaining with Alex and finding out about the curse and feud between the two families. The different realm was a little strange but once you got into the story it was entertaining to read. Mara is a character you liked and Alex was someone you wanted to have him find his absolution. I figured out how the ending would be shaping out to be but it was fun nevertheless. I am interested in finding out more on the other paranormal men that were introduced in the first book. So I know that I will be checking out Allie Mackey for more of her books from the series. Chloe Turner has had her world turned upside down when her fiancee is thought to be dead. Really he jumped out of a plane running from her. Chloe wants the paparazzi to leave her alone. She will find her troubles lifting away especially when she meets Max but all good things come to an end. Max Sullivan had come to the island with his brother. He wasn’t looking for love but there walks Chloe who looks to be perfect girl next door but he will find that she is not the perfect girl next door. 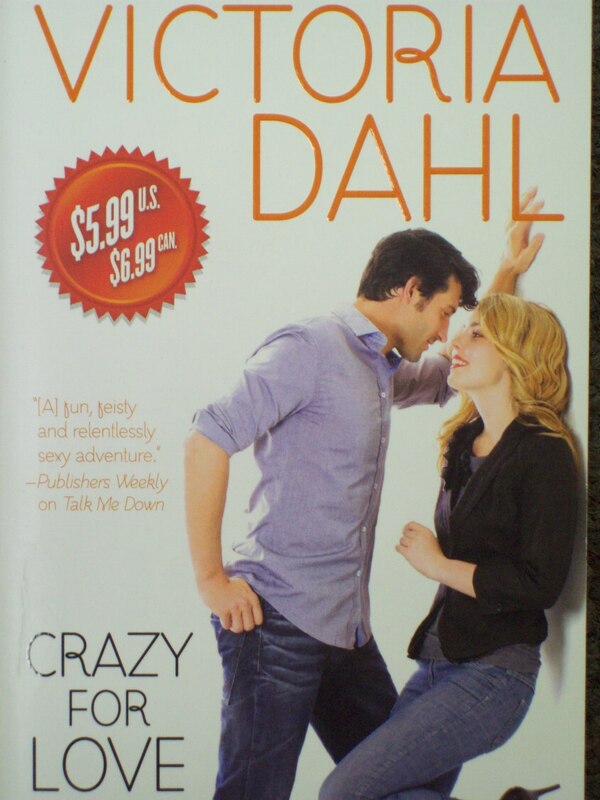 Crazy For Love is a stand alone novel by Victoria Dahl. With everything I have read from Dahl I have liked. Her stories are steamy, humorous and heartwarming. The story has all of it but I will have to say this would not be my top favorite of hers. I think what hinder me from loving it was the fact I couldn’t decide if I liked all the characters. Like Max who wouldn’t even listen when the time came. When Chloe needed him at that moment or Jenn since she was hiding something big from her friend as the guilt drove her to tears. I didn’t know if she was the other woman, I hoped she wasn’t. You learn the secret eventually and is forgiven but not at first. I did like Chloe even though her situation was a little out there with the paparazzi following her every move but it could happen. I will say Dahl keeps you on your toes with what was happening with Jenn and the secret she was holding. The plot is a little crazy which fit the title of the book but as I said it was a good book to read from Victoria Dahl.